What's in store for shoppers this year? 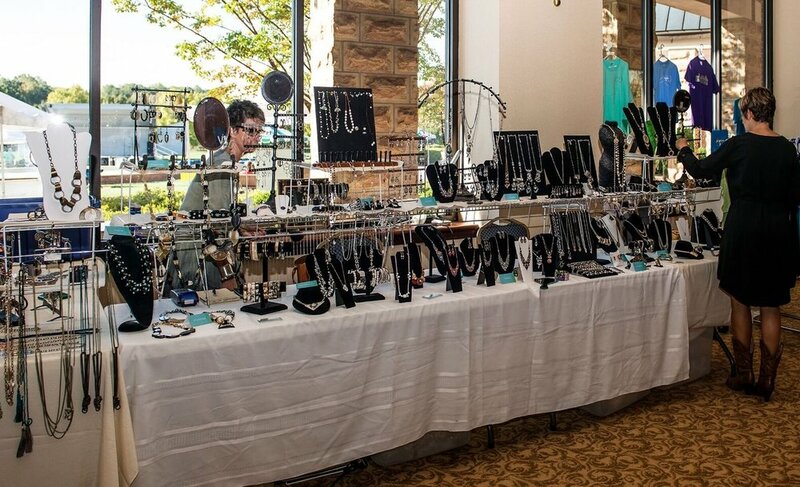 Meet some of our artists and vendors from 2018! 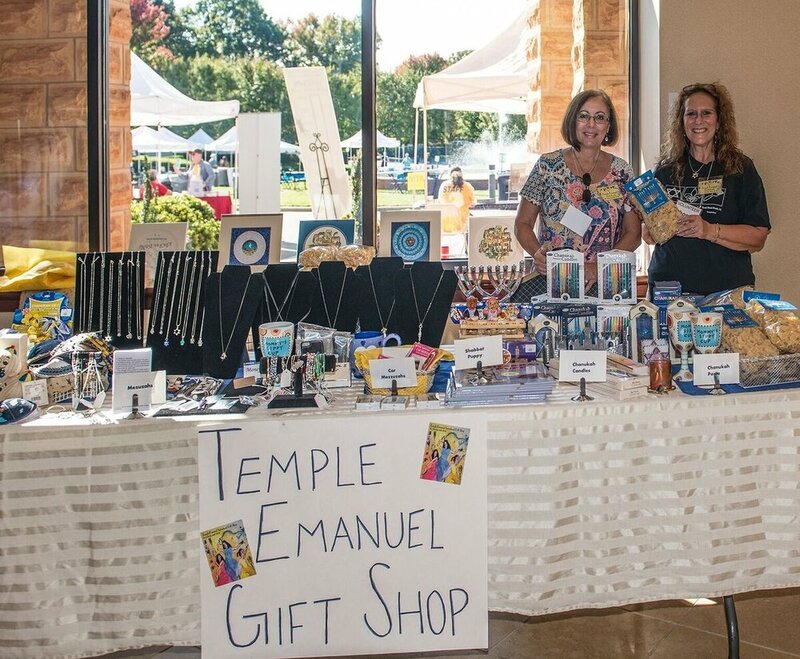 The Temple Emanuel Sisterhood Gift Shop is a special and unique Judaic Shop with items from leading artisans from around the world. Our shop proudly carries both traditional and modern designs. We also showcase beautiful items made by local artists. 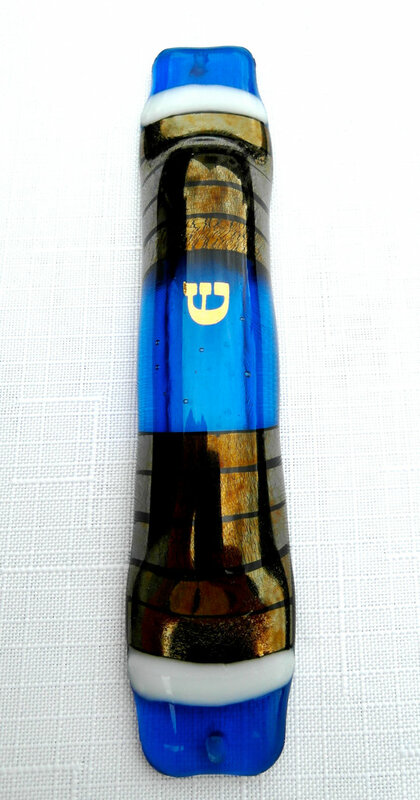 We offer an extensive selection of Jewelry, Kiddush Cups, Hamsas, Shabbat Candlesticks, Candles, Mezuzah Covers, Tallitot, Tzedakah Boxes, Children’s Gifts, Games, and much more. We invite you to visit our shop and perhaps buy a gift for someone or something for yourself. By supporting the gift shop, you also support Temple Emanuel. Fused or kiln-fired glass, is an ancient art form that was reborn in the latter half of the 20th century in the Pacific Northwest. Layered glass designs are fused together into a single piece by firing in a kiln to about 1500°. After cooling, the resultant flat work can then be imparted nd shap by a second firing into or over a mold, to about 1300°. Gary Fischer, a retired physician and shofar blowing member of Temple Emanuel, began fusing glass in1995 as a stress reliever for his busy medical practice. Almost immediately, he developed an interest in Judaic design which has remained the main focus of his art over the years. What started as a stress reliever has become an important part of his life. Gary has a shop on Etsy.com, and participates in select festivals. But most of his sales are to loyal customers and new customers by word-of-mouth. "People seem to appreciate something made by hand. Maybe there's an intuitive need for the human touch, something our modern helter-skelter society sorely lacks" Gary notes. "Everything I create is handcrafted by me personally. I have no assistants, no automation. And I absolutely love it! Time spent in my studio is cherished. It nourishes me. I feel very fortunate to have found this path to express my creativity at this stage of my life." Most days you can find Gary in his studio at his Greensboro home. 336 855 9232 gfisch25@yahoo.com. Adorned by Lonnie is an online jewelry boutique featuring handcrafted, unique, quality jewelry from around the world. Over fifty artisans provide a huge variety of styles and price points to enamor everyone. Lonnie's jewelry can also be purchased at the Tyler/White/O'Brian Gallery in Greensboro. Don't just be jeweled~~Be Adorned by Lonnie! Susie Coughtry from Susie Sparkles lives in Atlanta Georgia. She has been selling designer inspired jewelry for ten years. She sells necklaces, bracelets, earrings and rings. She has participated in our festival two years now! She is looking forward being a pat of our Festival again! Jenny Schultz is based out of Atlanta, and has her work in galleries in North Carolina, Florida and Georgia. Her inspiration is in the colors and textures and motion all around her. Fabrics, nature, sounds and music all speak continuously to her creative mind. We are excited to welcome Jenny to the Festival this year! 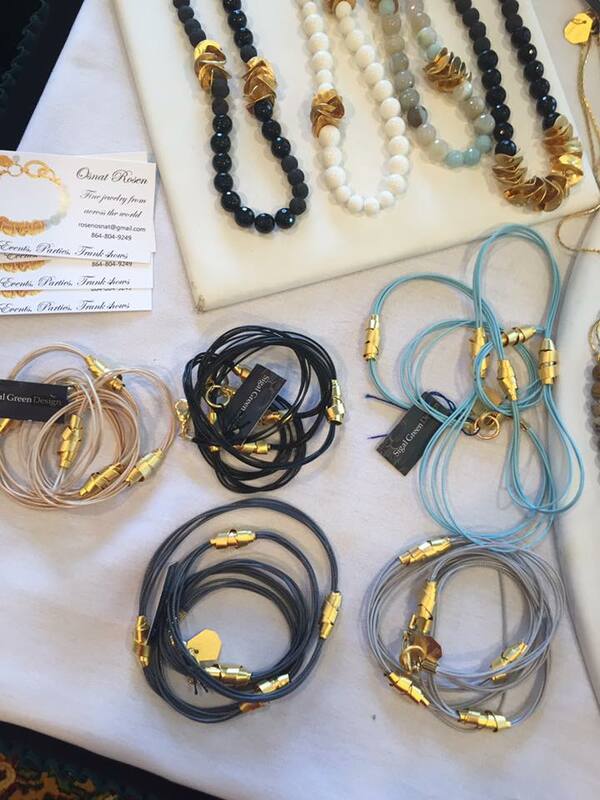 We are excited to welcome Osnat Rosen Designs to the Festival! Purchase Israeli inspired handmade jewelry. Osnat Rosen Designs is based out of Greenville, SC. Vintage & Antique Jewelry - Rings, Bracelets, Necklaces, Charms, and Earrings. Also Miscellaneous Judaica.